A relative came from United States and invited us to join them as they explore Hundred Islands in Pangasinan. Without hesitation we packed our things and traveled seven hours all the way to Bacnotan, La Union. It was my first time to visit the Hundred Islands National Park and the moment I set foot, I can't find the words to describe it. It's indeed a paradise by a hundred. In a beautiful morning, we comfortably traveled almost two hours from Bacnotan to Alaminos for the planned island hopping. We arrived just before lunch. This paradise in Pangasinan composes of 123 islands and we were able to see three of them - Governor's Island, Quezon Island and Children's Island were we stayed for lunch. Hundred Islands is one of the top tourist destination located at Alaminos City, Pangasinan. One of the awesome family get-away from the busy life in the city. 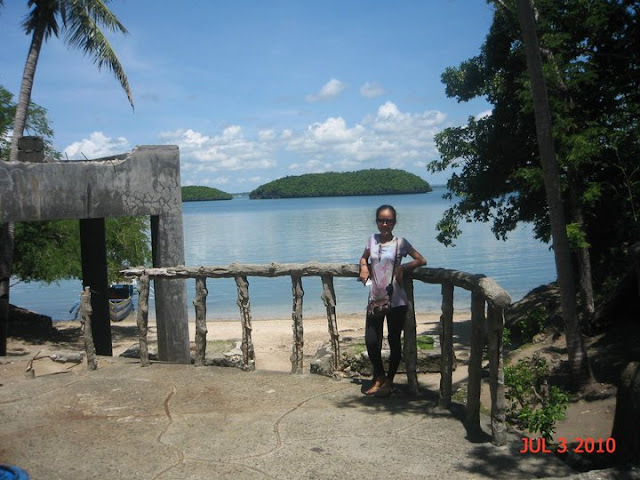 It's located in Barangay Lucap, Alaminos Pangasinan about 250 kms from Manila. The Marcos Island is my favorite of the islands I've seen. kakanin like biko which we had during the trip. It would be better to bring bottle of drinking water so you won't need to buy them upon arrival at the island. Use your pashmina, bandanas, hats, umbrella and shades while hopping around and wear a comfortable and light clothes and foot wear. Finally, don't forget to bring extra batteries for your camera or you'll regret it not taking the breathtaking view of Hundred Islands. Special thanks to the people who invited us and for their warm accommodation, auntie Debbie and family. Private: About 4 hrs from Manila via Camiling, Tarlac.